"This is like magic! You just answer a number of questions and end up with a precise description of your business' future in the form of a beautifully designed coffee table magazine." WHAT IS THE REALITY CREATOR PROGRAM? The CLEAR AS_*Reality Creator is the complete step-by-step program to map out the Desired Future State of any business. It provides a detailed image of a bespoke future and teaches the principles of Reality Creation in order to get there. Does contemplating the future of your business make you feel anxious rather than excited? Does the story of your business line up in your head but when you try to explain your thoughts they fall apart? Does your company have a mind of its own – and every team member their own interpretation of what you do an why? Most businesses are confused about their future. Confusion causes anxiety and many organizations get spellbound by what’s urgent rather than focusing on what’s important. They get caught up in what their business currently is – rather than what it is becoming. The CLEAR AS_* program uses a proven step-by-step process to map out the Desired Future State of your business and helps make it a reality by teaching you the principles and methodologies of reality creation. The new version of the Reality Creator Program is live. 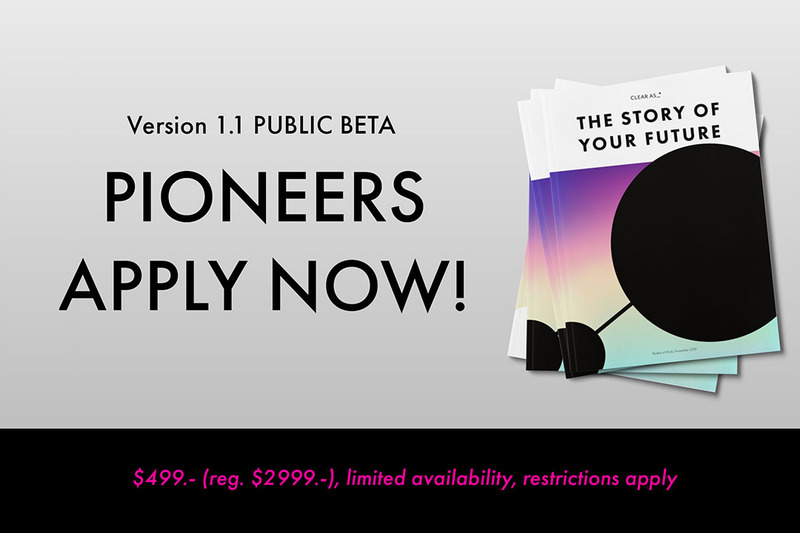 Apply to be a pioneer: get clarity and gain confidence about the future of your business for a heavily subsidized rate in exchange for your testimonial, shout-outs and refinement support. 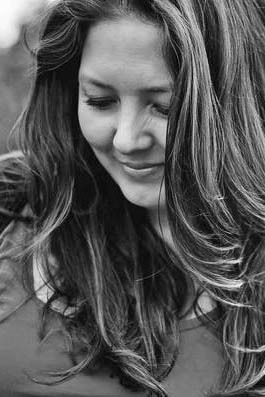 "The program has given me a whole new sense of direction and the tools to elevate my brand. I would say that this is the single best business investment I’ve made and I would highly recommend this program to anyone." Uncover the Desired Future State of your business and use it to create reality. Shape your brand with precision or brief your agency without any effort. Outsource and monetize your strategy process. Gain extensive insight into your clients' desired reality while investing less of your time. For your cause without a charge. Understand, communicate and shape the desired future of your organization accurately and effortlessly for free.